Author Jonathan Pinnock has always felt that his surname is about as far removed from cool as you can get; you may get Pinnocks who are strange, eccentric or even mad but at "two consonants away from disaster" being cool eludes them. 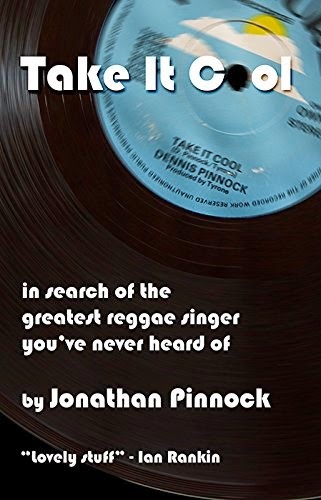 Then, searching through a pile of second-hand records, he stumbled on something that would change his whole outlook - a reggae single "Take It Cool" by Dennis Pinnock. At last a Pinnock who was well and truly cool - but also, curiously, a Jamaican black Pinnock, as far removed from the author's white West Country background as it's surely possible to get. Could there really be any family ties between Dennis and Jonathan? Now, the author had guessed before he started out on his quest that any, even the shallowest, search into Jamaica's past was going to lead him to the slave trade and plantation owners - so he was rather hoping there wouldn't be a connection! Even so he tracks down the early Pinnock colonists of the seventeenth century and their descendants, including one who quickly earns the name "Dog-face Phil". 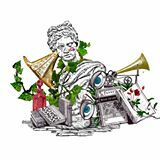 Alongside this story, he tries to track down Dennis himself via record label back-catalogues and that miracle of research tools, the internet, in the hope that one day the cool and un-cool branches of the Pinnocks may meet.